CITY of Plymouth hurdler David King secured his place at the European Indoor Championships in Glasgow next month by winning the British title on Sunday in Birmingham. King lived up to his billing as pre-race favourite to claim victory in the men’s 60m hurdles event. 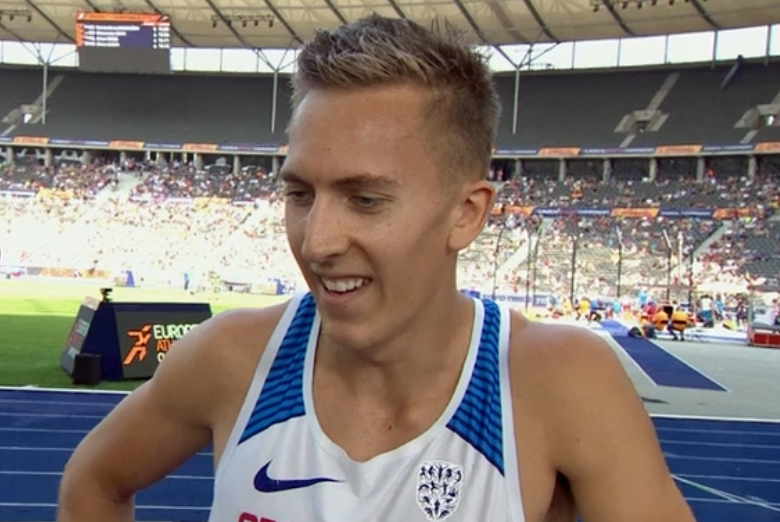 He impressed in the heats, clocking the fastest time of the day with a 7.67 second run, which was just 0.02 seconds off his season’s best and European qualifying mark that he ran in France last week. Having already achieved the Glasgow standard, King knew he just had to finish in the top two in Birmingham to book his place on the GB team. He did not run his best in the final, only clocking 7.78 seconds, but it was still enough to win ahead of Woodford’s Cameron Fillery and Khai Riley-La Borde. King can now look forward to the European Indoor Championships which take place between March 1-3 at Glasgow’s Emirates Arena. Also at the British Indoor Championships, Erme Valley Harriers’ triple jumper Sam Trigg only managed one jump on his attempted comeback from injury. He leaped 15.08m to finish 10th. In the men’s 1,500m, Tamar Trotters’ Mike Wilsmore finished ninth in his heat in 3:55.43.